Stickers Aren't Considered Advertising | Unlike many other promotional methods, decals are perceived more as an endorsement of a product than actual advertising, mostly because they are applied by the consumer! So when a customer reps your sticker, they indicate they love your company. Stickers Aren't Just for Bumpers | Because today's consumers love endorsing their favorite brands, stickers are making it to water bottles, tool boxes, notebooks, gaming consoles, instrument cases and even laptops! Stickers Aren't a Stagnant Method of Marketing | For a low price, the ongoing number of impressions (and the reach!) 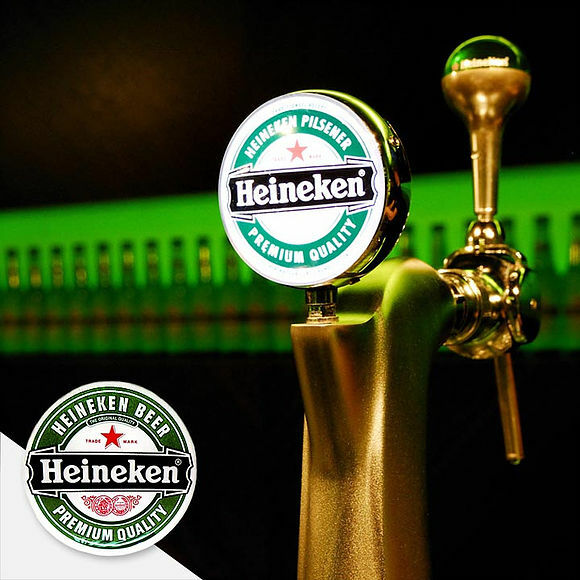 can be incredible, making stickers one of the most active and cost-effective marketing tools available. Stickers Aren't Boring | Because you're working with a blank canvas to start, your brand has the ability to create a marketing tool that's engaging with bright colors, witty verbiage or even an impactful statement that will have people asking for them! 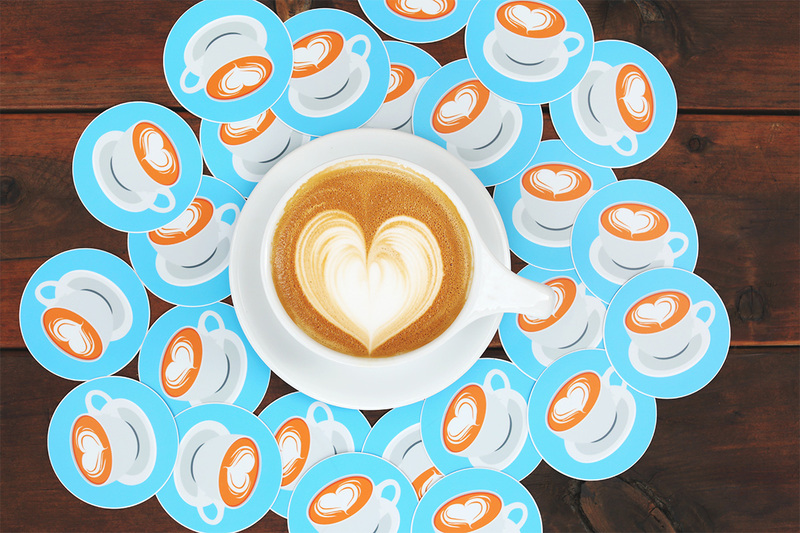 Stickers Aren't Disposable Marketing Dollars | If you have the brand loyalists, consider selling your stickers to create another stream of revenue! Stickers Aren't One-Dimensional | The standard bumper sticker rectangle is just the beginning of what a decal can be. Custom cut-outs and a variety of 3D decals can add interest or even a touch of class to your concept. Stickers Aren't Stand-Alone Tools | Sure, you can hand out stickers on their own as a powerful marketing too, but you can couple them with other marketing tactics to bolster what you already have, whether its an awareness campaign, special offer or loyalty program. Stickers Aren't Misunderstood | People understand stickers...and want them! There's no need to explain why you're giving them away, how to use them or what your intentions are. They're a traditional tool with a timeless goal—engagement. ‍Stickers Aren't Basic | The versatility of a sticker is fantastic! You can use them as leave-behinds for a client, as trade show giveaways, charity event hand-outs, new employee gifts, brand identifiers for equipment, product labels, etc. The list goes on and on. Only the edge of your creativity is the limit for what they can do for your marketing. Decals and labels are popular for their versatility and high impact. We manufacture adhesive-backed, pressure-sensitive products for countless purposes, including bumper stickers, wall art, floor graphics, product marketing and signage. Our vinyl decals are UV-resistant and waterproof, making them easy to clean and durable to high-traffic areas or to outdoor elements. 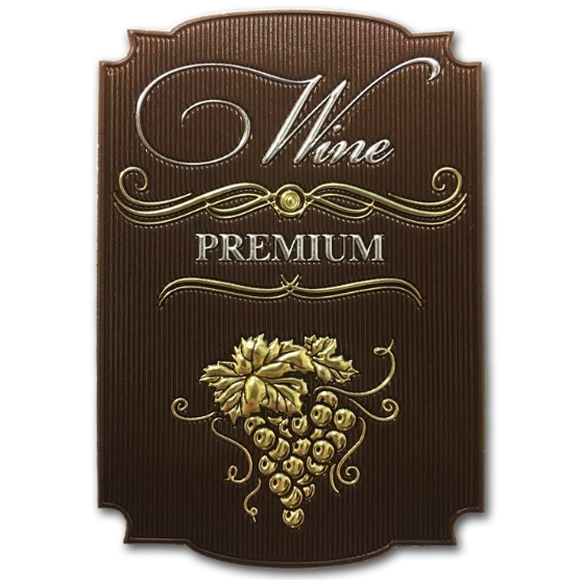 By pouring a transparent plastic layer on a flat label, an embossed, glossy Crystal Dome decal is created for practical and high-quality solutions. They are equally durable, UV-resistant and weather resistant, and do not fade or fold. Applications for these are endless. It's fitting for equipment, vehicles, products and general brand awareness marketing, anything that you want to dress up with a more upscale look for your logo. "Prestigious and elegant" describe the impression Super Dome decals. 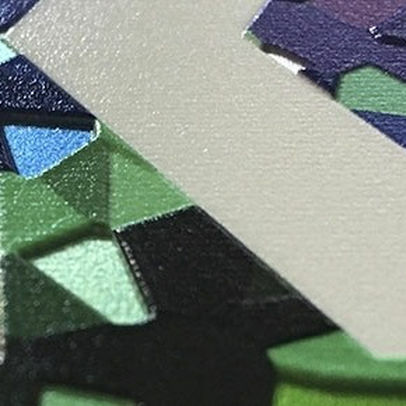 Our technology enables the creation of a 3-D logo in any possible shape, size, and color, and with any required adhesive. Among other applications, Super Dome decals are widely used by automobile manufacturers, importers, and dealers for their logos and promotional emblems. This textured print option opens a wide range of creating raised designs on a required product or application. This option is a step toward the next generation in logo creation and decal applications. 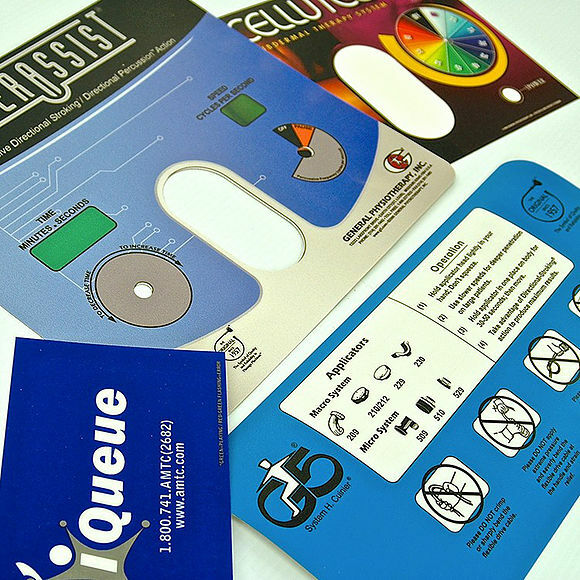 Commonly used for braille placards, 3-D Print is an upscale, functional choice for general signage but also brand marketing. 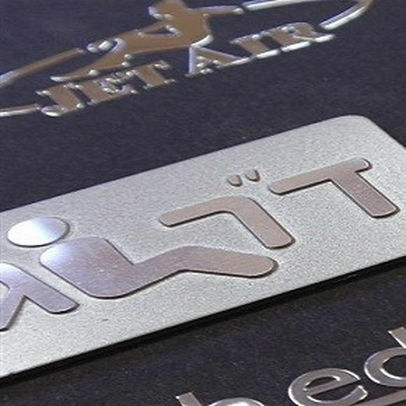 Imagine your silver or gold logo on a thin, shiny metal plate. 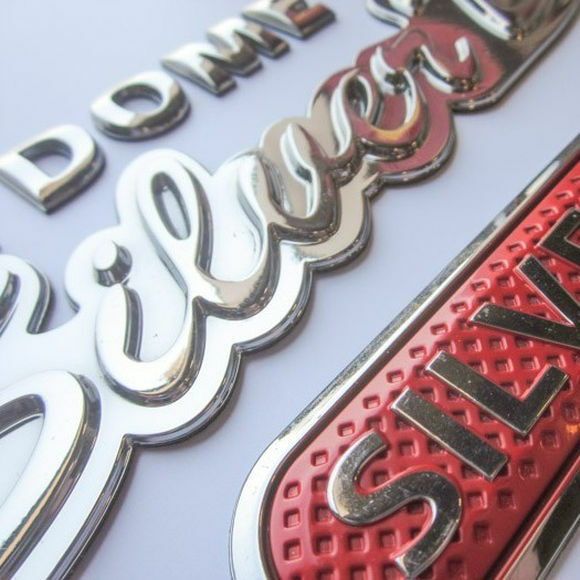 Available in various sizes, thicknesses and finishes, the metal logo is ideal for a variety of product lines, such as electronics, furniture, hardware, machines and appliances. We love this alternative to the vinyl decal for its upscale appearance and yet it's a completely affordable way to dress up a product or machine label. 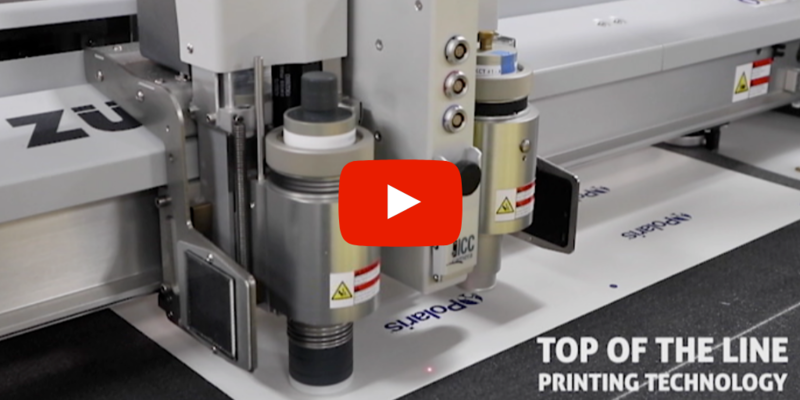 These highly customizable creations are the ultimate solution for adhering to machines, various hardware items, electronic components and similar applications. The use of silkscreen or digital printing enables you to achieve maximum effectiveness for whatever functional, operational or safety application you may have. Ready to create a custom decal? 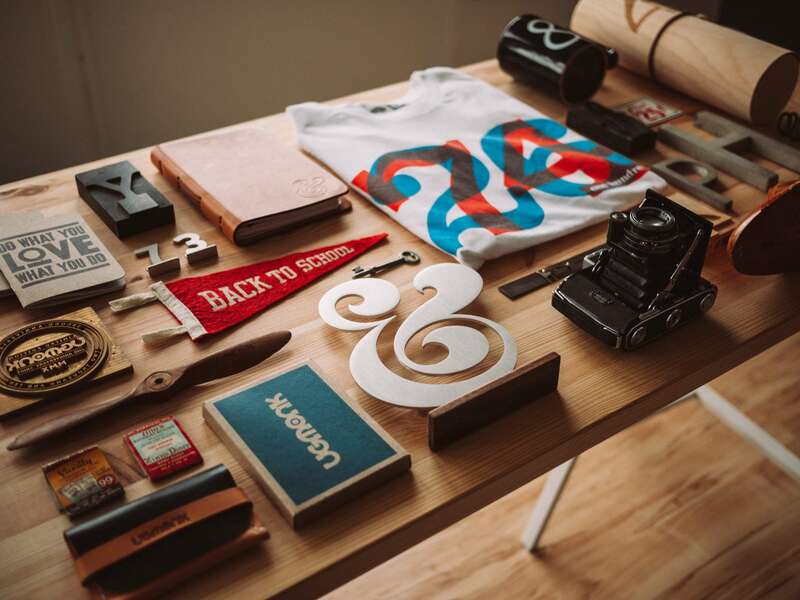 Let a Flywheel designer guide you through the process or visit Flywheel's online eStore to see more trendy promotional products you'll want to consider in 2019! You can also just schedule a call with one of our team members or shoot us a quick email.